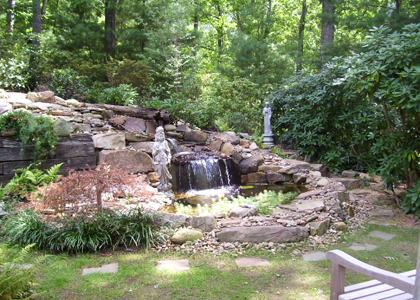 Goals: To create a waterfall that looked natural in this wooded Chunn’s Cove setting and provide a beautiful focal point from the back deck and sunroom of Mrs. Racy’s home. 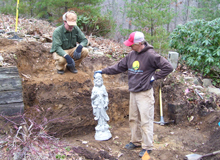 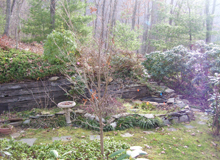 Challenges: Accessing this site with heavy equipment was impossible, so removal of the existing retaining wall, excavation of the ponds and all stone handling had to be done the old-fashioned way, by hand. 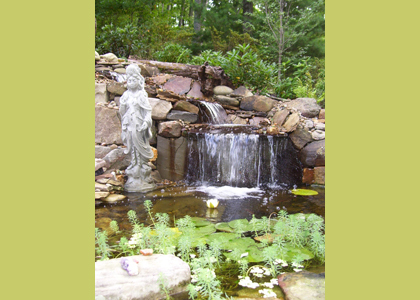 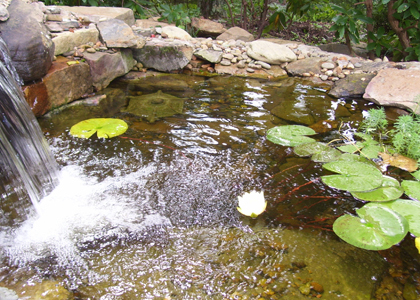 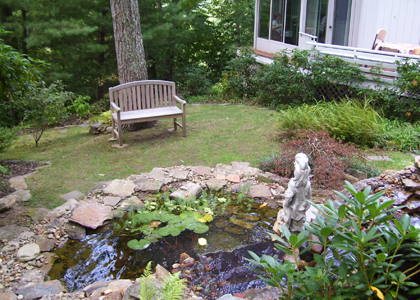 Results: We created a four-tiered waterfall that looks natural and sounds beautiful while relaxing on the back deck.